Remember how much your grammar teachers hated the passive voice? French speakers hate it even more. Nonetheless, they recognize that passive constructions are sometimes needed to avoid specifying the subject of a verb’s action, and one of the ways to do this is with the passive reflexive. La fenêtre s’ouvre difficilement. 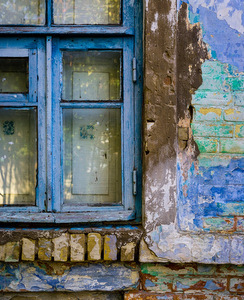 The window is difficult to open. Les pommes se vendent ici. Apples are sold here, We sell apples. Ça se voit. That’s obvious, We can see that. Ça ne se fait pas. That’s not done, People don’t do that. La question ne se pose pas. It’s a rhetorical question. 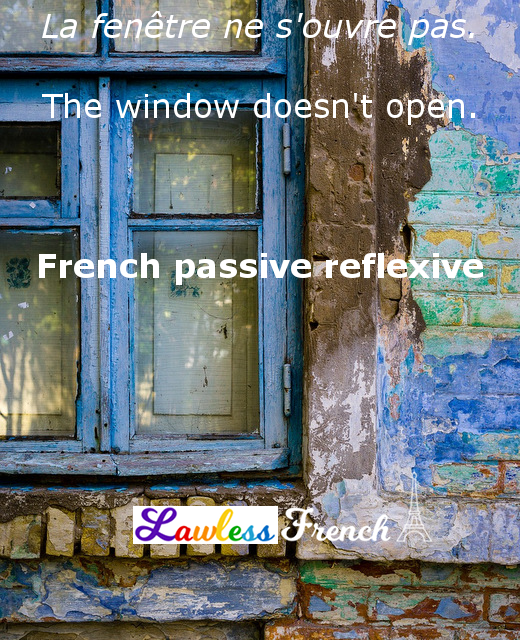 There is a slight difference in meaning between the passive reflexive and the passive voice in French. La fenêtre s’ouvre difficilement sounds like either something happening right now or a general, ongoing fact. "The window is difficult to open" (I’m having a hard time right now) or "The window is (always) difficult to open." In comparison, La fenêtre est ouverte difficilement indicates that someone had a hard time opening it: "The window was difficult to open." The passive reflexive can be used in any tense or mood. Cela s’est réparé facilement. That was easily repaired. Ce plat se mangeait lors de grands banquets. That dish was eaten at big banquets. Les portes s’ouvriront dans deux semaines. The (store) doors will open in two weeks. Les étudiants doivent se faire à manger. Students have to make food for themselves.